A pair of articles currently scheduled for publication in the December issue of the Journal of Urology has just appeared on line under the title “MRI before prostate biopsy — yes or no?” Unfortunately for our readers, access to this pair of articles is limited to subscribers to the journal (unless you want to pay), and there is no abstract. So we will try to summarize the key points. In the first of the two commentaries, Dr. Peter Albertson argues that — while there is good reason for the excitement around the use of MRI scanning to help to determine who needs biopsies and how they should be done — the technology is not yet ready for prime time because there are too many unanswered questions. Monitoring men following active surveillance protocols represents one of the more exciting uses of prostate MRI. We don’t know enough about the preferred type of MRI, i.e., whether it should be done using pelvic MRIs or using endorectal coil MRIs. We don’t know whether 1.5 T or 3 T magnets provide better data. We don’t know the best types of dynamic sequencing necessary to complement the standard T1 and T2 images. There is inter-rater and perhaps intra-rater variation in the interpretation of the scan results by radiologists. There is clearly a significant risk for false negative MRI results (where men with a negative MRI are found to have prostate cancer on a systematic biopsy). Dr. Albertson’s basic position is that, until we have better standardization of the way in which MRIs are used to assess risk for prostate cancer and guide targeted biopsies, we aren’t necessarily any better off if we use this technique than we are already … and we will be running up the costs of diagnosis without any certainty that we are providing better guidance to patients. Finally, we need better information about whether we are identifying those men truly harboring clinically significant disease. The PSA/TRUS paradigm is failing not because we are identifying too few cancers, but because we are identifying too many. Prostate MRI must provide superior discrimination or it will be discarded as being ineffectual and too expensive. The targeted biopsy “train” has left the station. No one can predict exactly where that train will take us or the exact route, but the value of targeted biopsy has been established and, inevitably, there will be no going back. Dr. Marks is, of course, correct. He is an advocate for the tried and very well established premise that we should let the marketplace make the decisions about the implementation of this type of evolving medical science. At the end of the day, however, the resolution of this problem lies not in the hands of the Dr. Albertsons and the Dr. Marks of this world but in the economic realities of that marketplace. Payers will cover the costs of medical procedures that actually improve care. Even today, there is little doubt that certain types of multiparametric MRI and MRI/TRUS fusion biopsies can be used beneficially in the management of certain types of patients when the technology is used by experienced specialists and the imagery is interpreted by experienced uro-radiologists. Bluntly, however, most urologists and their staff almost certainly do not yet have the skill or the experience to use this technology well. Furthermore, the number of uro-radiologists with the experience to interpret prostate MRIs with repetitive accuracy is undoubtedly small. The availability of technology on its own is no justification whatsoever for its widespread and thoughtless use. On the other hand, the gradual expansion of the use of high quality, MRI-based data in determining who should get a targeted biopsy or whether a biopsy is necessary at all is inevitable. The trick will be to combine the very real need to accumulate data that justifies the appropriate use of this technology with the training and education that ensures its use in the best interests of patients (as opposed to the economic interests of physicians and hospitals and equipment manufacturers). This is certainly a topic on which there is going to be much more to say. I had a multiparametric MRI (3 T and T2 diffusion weighted) that showed a suspicious spot which turned out to be negative. The MRI-fused color Doppler ultrasound biopsy caught 3 out 14 positives. My insurance will not approve MRI as a tool for AS (to my surprise). Who tends to use this sort of technology most often? Is it the leading academic medical centers? Or independent doctors? Or some of each? On the discussion boards, I tend to see references to independent doctors doing color Doppler ultrasound, 3-T MRI, PET scans, etc. Maybe some of them are more wiling to be “experimental” than institutions practicing evidence-based medicine? On the other hand, the academic medical centers have the case load and resources to justify advanced imaging techniques. So, just wondering who tends to do this? It is all over the map for (relatively) low-cost services like color Doppler ultrasound, but this technology is not widespread. At the opposite end, PET scanning is largely confined to academic medical centers because of the resources and costs required. The use of 1.5 T and 3 T MRI scanning is “somewhere in the middle” because MRI equipment is relatively widely available today. A very great deal depends on the interests of the individual clinicians involved and how they “make their livings”. What is very definitely the case, however, is that the use of this technology (like the use of da Vinci robots and HIFU equipment) takes time and experience to learn to use well. Just having the equipment available is only a part of the issue. The other part is knowing what to do with it to get good reliable, and reproducible results. So much to say, but will try to focus on MRIs. I was diagnosed with prostate cancer in March 2013. The urologist recommended a multi-parametric endorectal MRI. My wife and I called hospitals throughout Michigan to try to find one that could do a multi-parametric endorectal MRI. One radiologist said they had the endorectal coil but stopped using it as they got better result with the 3-T machine and this avoided patient discomfort. The radiologist said that the higher-powered MRI they were using gave images as good as the endorectal coil without using the coil. Then I was in the MRI for another 40 minutes while images were taken using gadolinium. 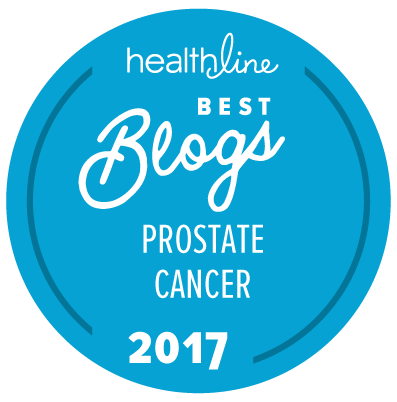 Based on this experience it would seem that radiologists and urologists would benefit by a discussion of how to get the best images that urologists can use in treating men with prostate cancer. Please also consider the impact that treatments have on the patient. Laying still for 80 minutes in an MRI machine is hard on the body. Also the 2 hours traveling to the hospital could have been avoided if i could have had the MRI at a facility that used the 3-T MRI. My father lives in Michigan, has rising PSA (currently 5.2), and has not yet undergone biopsy. I am trying to help him investigate multiparametric MRI as an alternative to biopsy, and I am hoping you could tell us which center(s) in Michigan you found that offers multiparametric MRI. Thank you!